Arlington’s Equal Employment Opportunity (EEO) Policy prohibits discrimination against all parties in the workplace. It ensures that all job applicants — regardless of race, gender or ethnicity — have a fair opportunity in the hiring process, as well as in competing for promotions and accessing professional development opportunities. The Policy is specifically designed to increase representation of minorities and women at all levels in the Arlington County workforce. 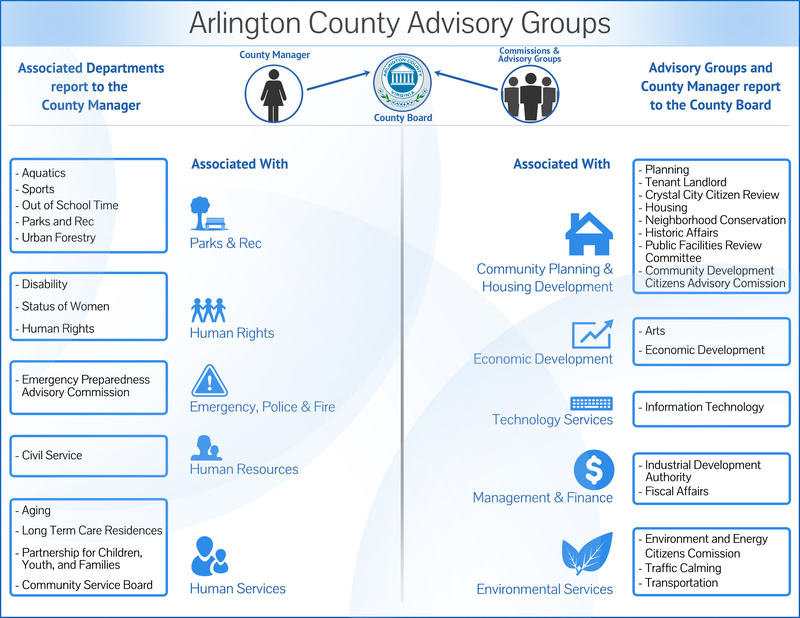 To oversee effective implementation of the Policy, the County Board created an Equal Employment Opportunity Advisory Committee as a standing committee of the Arlington Human Rights Commission.